If you're like me and you're acquainted with a specific Japanese acupuncture style, I'm sure you already appreciate the tremendous value, both clinically and culturally of Japanese acupuncture as a whole. From the gentleness of Toyohari, the dynamism of Nagano or Matsumoto styles, to the simplicity of Shonishin, there is within Japanese acupuncture a wealth of invention and creativity, which remains rooted in classical concepts of balancing and regulating Ki. Acupuncture in Japan is different to acupuncture in China, not least in that there is no one unifying style taught in universities and colleges nationwide. Rather there is a huge diversity of styles, both old and new, and these styles are in constant evolution and competition. So while one of the greatest cultural exports from China is Traditional Chinese Medicine (TCM), Japan has no single cultural equivalent. Instead, knowledge of different Japanese acupuncture styles has been passed to the West through a small group of Japanese emigrant teachers and other Western teachers who have trained in Japan. IS THERE EVEN SUCH A THING AS JAPANESE ACUPUNCTURE? Some say that there is no such thing as ‘’Japanese acupuncture’’ unless you're simply a Japanese national who's an acupuncturist, while others argue that within the diversity of Japanese acupuncture styles, there are distinguishing features, for example, the use of guide tubes and shallow needling and the strong emphasis on palpation for diagnosis. This article is not really the place for this discussion, but I will simply say this. We could also argue that there is such diversity in Japanese cuisine that we can’t really generalise about it, yet clearly there are internationally recognised dishes that are Japanese and they look and feel very different to fish and chips. What both sides of that discussion can agree on is that there is a diversity of acupuncture styles emerging from Japan. While in the West, TCM acupuncture is by far the predominant model of acupuncture, there is a growing number of trainings in other styles, including Japanese acupuncture methods. WHY DO WE NEED A DIRECTORY? Sayoshi is an attempt to remedy this lack, a big tent solution that welcomes all practitioners of Japanese acupuncture, of whatever style, and creates an online database that enables people to find us, wherever we work. The directory will also enable members to create their own, professional looking profile, and will provide a central place for trainers to promote their classes and for practitioners to search for them, nearby or far away. What’s more, we hope to host our own acupuncture knowledge base, an acupuncture wiki of Japanese terms and concepts. We're working on that one right now! In this way, Sayoshi will provide one central platform for all styles of Japanese acupuncture, a place where we can develop our global reach, communicate, learn and grow together. It’s not a new idea! I’m Oran Kivity, the snail-paced founder of Sayoshi. I have to confess I was first talking about finding a developer for this idea as long ago as 2004 and I have been through several unsuccessful attempts, distractions and iterations from then till now. To start with, the platform was going to be called Japaneseacupuncture.com and after long negotiations I managed to purchase this prized domain from a buccaneering online domain holding company, who charged a suitably piratical price. A directory such as this needs to have appeal, however, and the domain name simply doesn’t have a good ring to it. Whatever a business is called, it has to roll off the tongue. Google and Yahoo are cases in point. Eventually, after a long period of listing Japanese names and finding the domains already taken, I came up with the name Sayoshi. WHAT DOES SAYOSHI MEAN, ANYWAY? Sayoshi is a mathematical research term in Japan appropriated and used by the late great acupuncture practitioner and researcher Yoshio Manaka. It refers to the energetic influence of different shapes and substances on each other when brought into proximity, for example how an acupuncture needle can influence the body even when held in the air a few millimetres above the skin. The sharp ‘’vector properties’’ of the needle create a wave effect, its sayoshi projects in front of the tip, like the prow of a boat creating a bow wave. Things placed close together obtain the sayoshi of the other. 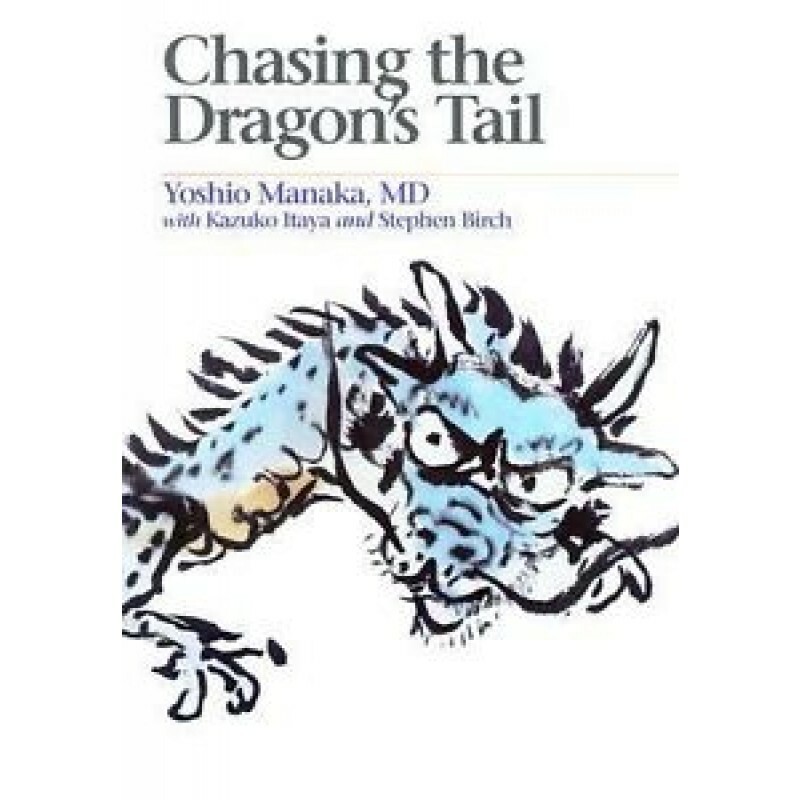 His great book Chasing the Dragon’s Tail details his experiments and thoughts on the sayoshi phenomenon. In the context of this website, Sayoshi can be thought of as something that brings the different styles of Japanese acupuncture into proximity with each other and allows their sayoshi to contact, communicate and interact. Moreover, it can be thought of as the introduction and bringing into proximity of the individual with their group, and most importantly, the introduction of a patient to the directory. It’s a cauldron that brings one to many. The Sayoshi story so far has been a story of friendship and teamwork. The logo is a case in point. With the help of a close friend, I had taken the quest for a logo to an online design competition. The contest didn’t turn out that well and I awarded the competition to a logo that was good, but not quite good enough. A week later I was complaining over dinner to another friend about the winning logo. He scratched his head and asked me a few questions about my ideas about Sayoshi and sayoshi. “Let me have a go!’’ he said. He didn’t sleep properly for three days but the result was perfect for us. The logo says everything. The font is simple and bold and states the name in full, yet the ‘I,’ long and thin like a needle, is an individual component approaching a cloud-like multiplicity of dots, reminiscent of cherry blossom. This one-to-many concept is at the core of all the services we offer, from the patient seeking a practitioner among many, to a style of Japanese acupuncture nesting among many. The more we looked at it, the more it seemed to completely encapsulate our mission. Thank you Jiet Wong, a truly talented Malaysian artist! We don’t think so! Sayoshi is not another dry listings website with static content you don’t want to read. We are building a Japanese acupuncture community. And we’re hoping the content will be written by you, the community, from the bottom up and not by us, the Sayoshi team, from the top down. That’s why you’ll find an article management tab, right in your control panel. You can write and upload to the Sayoshi site, right from your account page. We have a skilled editor, he’ll work with you to polish your post before it’s published. This is one reason we wanted to start a wiki, so that together we can create an online knowledge base for all things to do with Japanese acupuncture, including its history, terminologies, theories, styles, teacher biographies, needles, tools of the trade, moxibustion, you name it – everything you always wanted to know about Japanese acupuncture but didn’t know who to ask! Sayoshi cannot merely be a website ‘’of the practitioners, by the practitioners, for the practitioners’’. It has also to be about the public and their health concerns. We want to reach out to the online public and show them that Japanese acupuncture has something vital to offer for their own health related concerns. We are making great efforts to optimise the site for health related searches and we hope to provide much needed assistance to people looking for solutions to their problems. Sayoshi will always be a niche market. We simply don’t want every acupuncturist in the world to join, we just want those who are inspired by Japanese acupuncture thinking. And yet there is plenty of room for us to grow as an online health portal. This will include our own trainings, YouTube chatshows and hosted webinars, all of which we hope to bring to you in our own unique way. In the future, could it be that we can expand the kind of therapies that we host to include other valuable modalities from Japan? I would love to help the body therapy Sotai to grow and spread, for example. Can we also provide a centralised home for Kanpo and Shiatsu practitioners in the future? What other Japanese traditional therapies are there out there? For now, I want to start with Japanese acupuncture and moxibustion, and see where it goes! 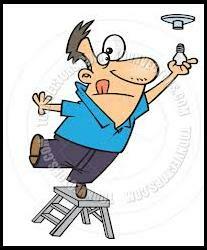 HOW MANY ACUPUNCTURISTS DOES IT TAKE TO CHANGE A LIGHT BULB? A project like this will always excite some and generate doubt or opposition in others. To those who are not yet sure about Sayoshi I’d like to re-present an old light bulb joke. Q. How many acupuncturists does it take to change a light bulb? A. Ten. One to change the light bulb, and nine to say that their style could have done it better. Actually, Sayoshi is the light bulb. We’re here to throw the spotlight on Japanese acupuncture so that the world can see it, take notice of it and utilise it. Wherever you are, whatever your style, please join us, use us and give us feedback so we can improve. We need you and we’d like to think you need us too!